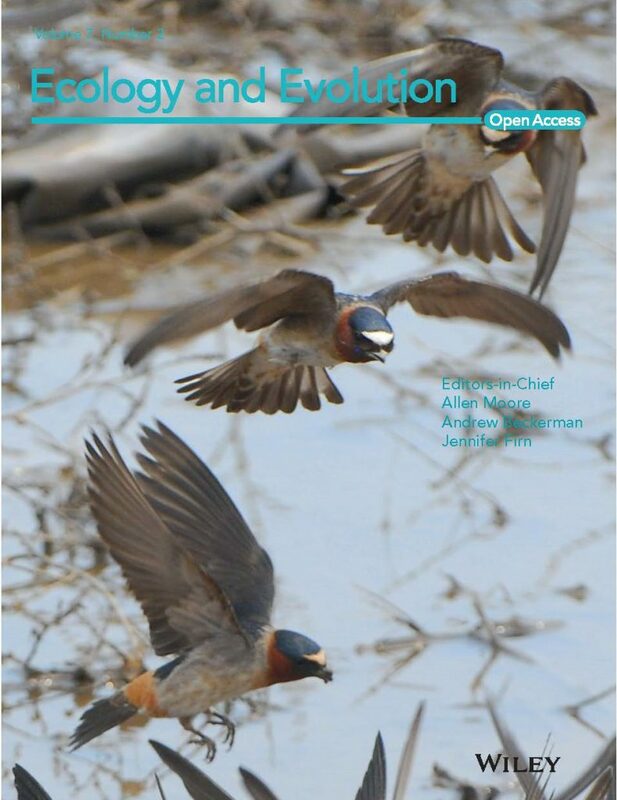 On the Cover: Cliff swallows (Petrochelidon pyrrhonotoa) collecting mud for use in nest building. Social swallow species, such as the cliff swallow have converged on smaller, more constrained morphological traits than solitary swallow. Allison E. Johnson, Jonathan S. Mitchell and Mary Bomberger Brown. 2017. Convergent evolution in social swallows (Aves: Hirundinidae). Ecology and Evolution 7(2): 550–560.